I've been out of town and away from internet access for a few days, but I have lots to share with you today! Thank you for all of your input on my mattress questions...lots of you really love your Tempurpedics! I'm filing away all of your advice and we plan to go shopping soon. If you didn't have a chance to weigh-in, I'd love to hear your thoughts on selecting a new mattress here. If you know me personally or have read my bio, you know that I'm a minister's wife. Well, let me back up. First and foremost, I'm a believer in Jesus Christ, who I have a personal relationship with, which is the only thing that truly matters. Having said that, I was raised in a Southern Baptist church. I am humbled yet proud to be a part of a denomination known for serving others, through our Disaster Relief team, and also known for our desire that all may know Him, facilitated by prayer and the unequaled support we give our local and international missionaries through the Cooperative Program. On a side note, I'm also excited that as part of the Southern Baptist Convention, our church was the top giver on record to the Cooperative Program. We received an historic gift at the end of 2012 that is already being used to support the spread of the Gospel to the ends of the earth. We are truly blessed to be a part of such a giving body of believers. I am so honored and happy to be a contributor to a new online site for the Baptist General Convention of Oklahoma called Word Slingers. It offers a wide variety of topics including relationship and parenting helps, movie and book reviews, and commentaries with a Biblical world view of current events. The site has been up and running for just a few weeks, but will continue to add new content and fresh thoughts. and if you're interested look around at some of the other posts. Some of the other writers are personal friends, and I'm confident that there is something that would interest everyone there. I'm also sharing some great ways to celebrate throughout the day and a few things I'm planning to do to show love to my family. 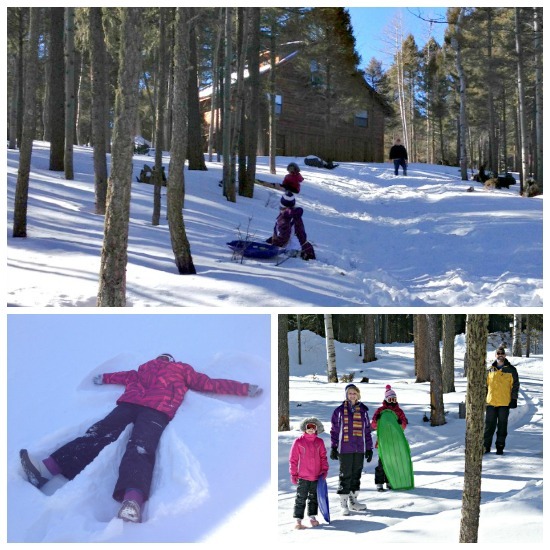 Over the weekend we pulled the kids out of school for a few days and slipped away to Angel Fire, New Mexico. It's been almost 10 years since Ray and I have skied, and we were looking forward to sharing this experience with the kids. We were thrilled to have our good friends, who have graciously invited us to go to Disney World 3 times with them, join us. They have three fantastic daughters and all of the kids have such fun together. 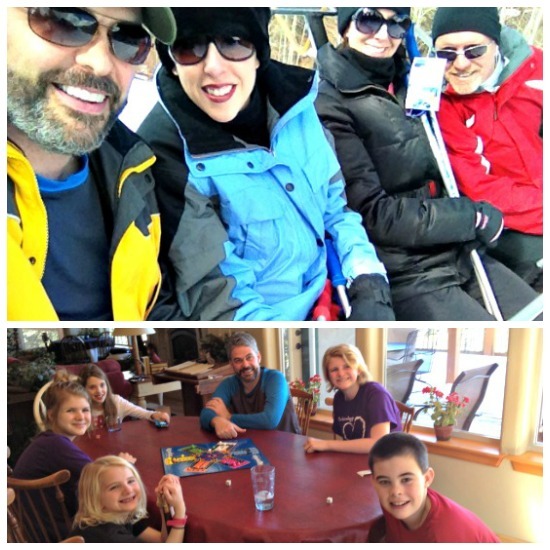 Over the years we've traveled many miles, shared countless meals, and played lively games of Uno and Farkle together. 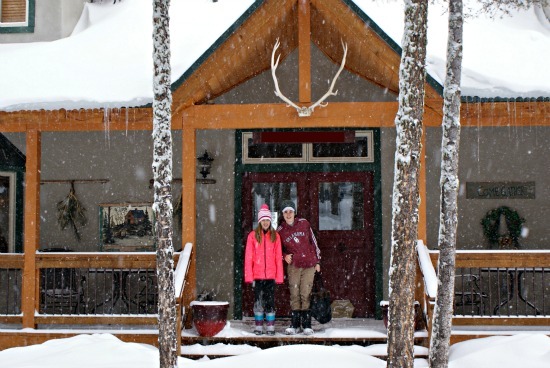 This is the little cabin where we like to rough it <sarcastic voice>, thanks to the generosity of some wonderful church member friends who are always willing to share their mountain home with us (that they built themselves for the most part!). And the window of my favorite room to stay in, with a frosty glorious view of the mountains and a lake in the distance. The morning after we arrived the kids wasted no time going out to play in the snow before we headed out for an afternoon ski lesson. Our last day stared out sunny and beautiful, but then the wind picked up and the snow clouds blew in. 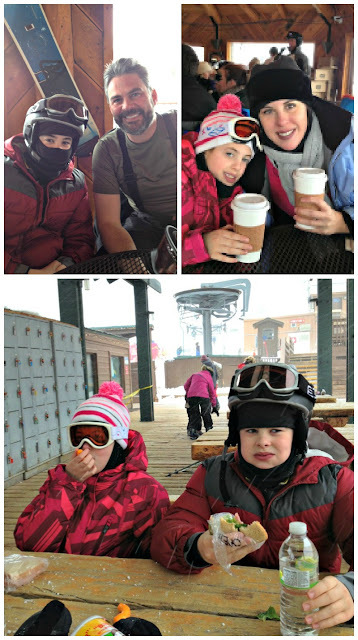 We were frozen so we stopped at the warming house at the top of the lift and enjoyed some hot chocolate. By the time we skied down for our lunch, it was getting unbearable. Very high winds and heavy snow, which they desperately needed. Caleb's face totally cracks me up...it just about sums up our miserable lunch. We toughed out one more run and then we were finished for the day. 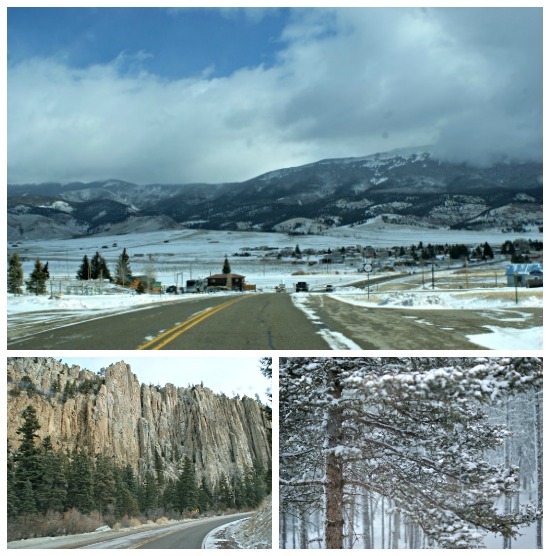 I've been coming to these mountains since I was 12, but have never been in the winter! 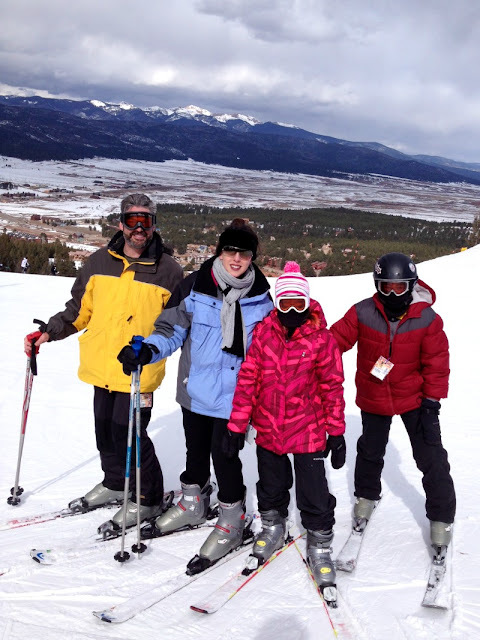 It was such fun, Emily is already begging to go back to ski again next year. Thanks for allowing me to share some personal background with you today. Tomorrow we'll be back to all things house and home. 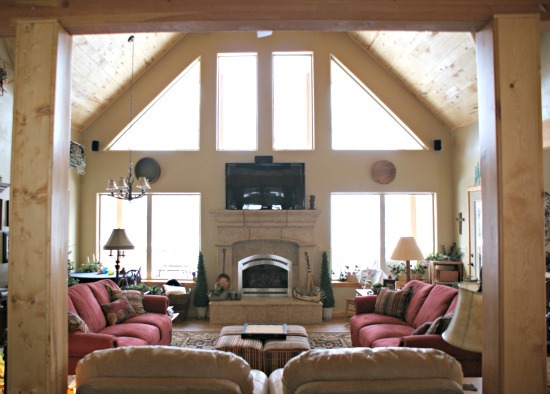 But hey, I did throw some cool house shots in for you today...did you SEE those planked natural wood ceilings? And you KNOW I love those antlers over the front door of the cabin! Don't forget to join me over at Word Slingers today! Love this post. Thank you for sharing! So glad y'all got to have a wonderful time. Can I just say how I love your lipstick color! (In picture on ski-lift). You look beautiful! Ha! That's funny, I get asked about my lipstick often. I actually mix several colors. Maybe that should be a post someday... :) Thanks Jackie. that looks like an amazing trip! it is so great to have friends like that! Love the CP and thankful for the Pastor's Adoption Fund and hope that increases in coming years! Oh Krista, I didn't know about that one! There are SO many good causes that the CP supports, including the Pastor's Widow fund, Baptist Children's Home and Retirement Center, Falls Creek (youth camp) and Cross Timbers (children's camp), it's SUCH a good program where so many benefit from our giving. Congrats on being a contributor ~ I know they'll love your creativity and heart as much as we do!! 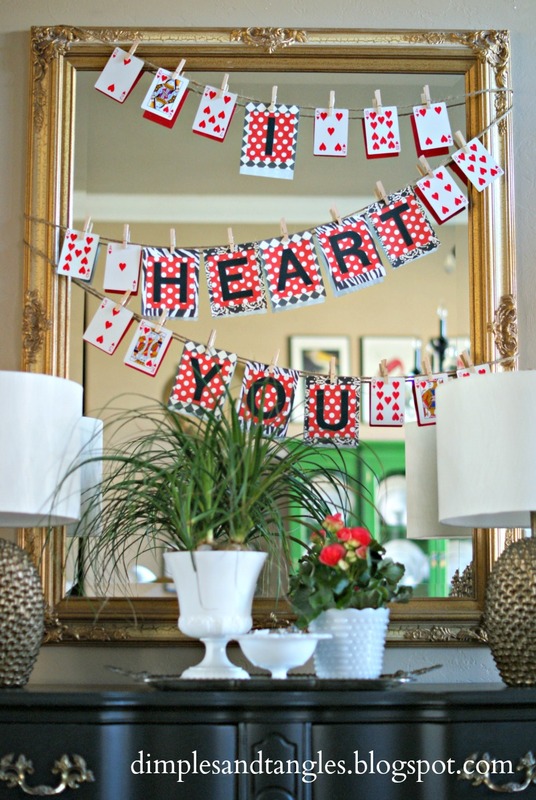 Your Valentine decor is SO cute! I'll be doing the same post next week, glad you got in a bit of skiing before it got ugly! 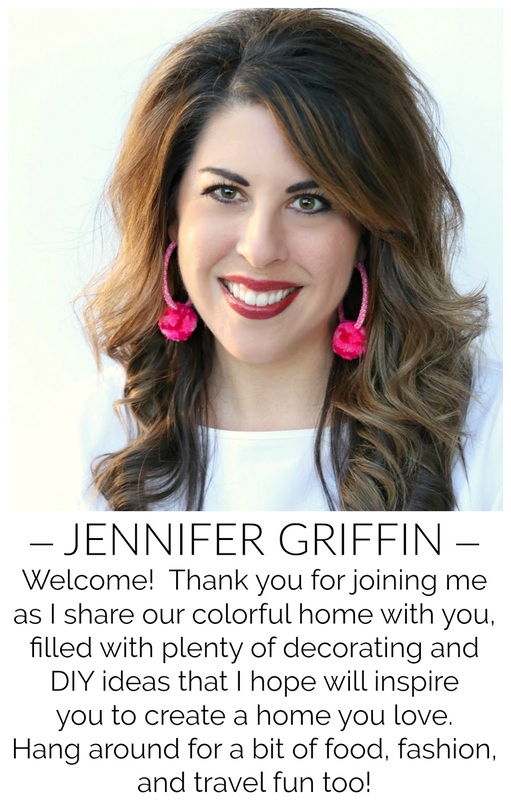 Jennifer, I love getting to know you better and hearing about your new role writing for Word Slingers! That is so great! Your ski trip looks like so much fun….and I did not even know there was snow in New Mexico. Makes me want visit more of the states….I know so little about that part of the country. Thanks for sharing you travels with us!! That house looks gorgeous!!! 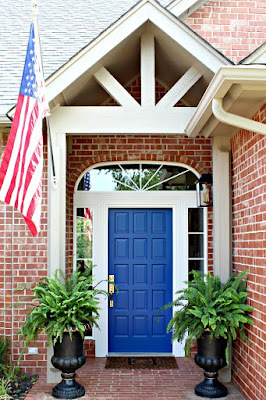 I just found your blog a little while ago and love your house! I have to laugh though, being catholic, not only do our priests not marry, but take an oath of poverty. I can't imagine any of them having the beautiful things you do! You're very blessed! Can't wait to see more posts of your house. 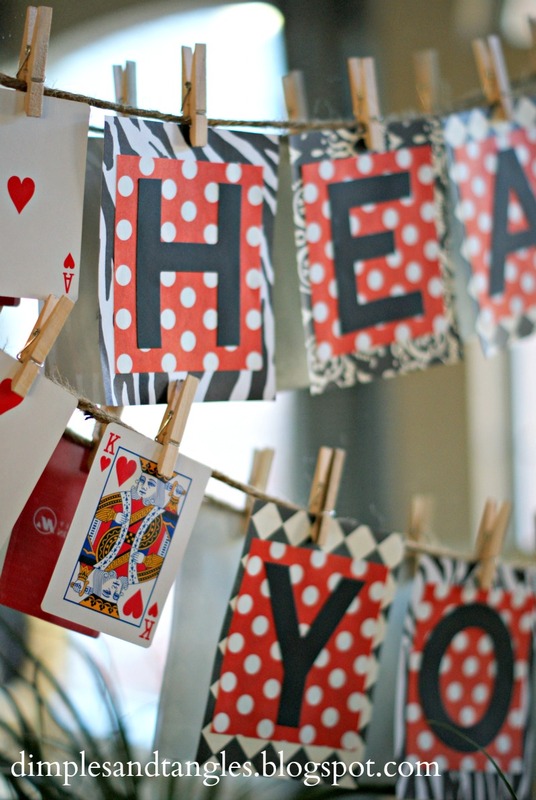 Your dining room is fabulous. Congratulations on being a part of Word Slingers as well as the amazing contributions from your Church! Looks like a really fun trip ~ glad you were able to take time off and get away. 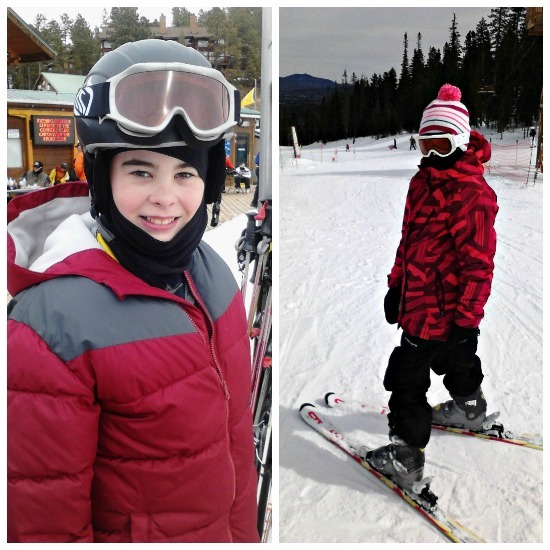 Isn't it funny how quickly young people adapt to skiing? It's great that they had so much fun! That house is totally amazing! I would probably just wander through it, wide eyed. 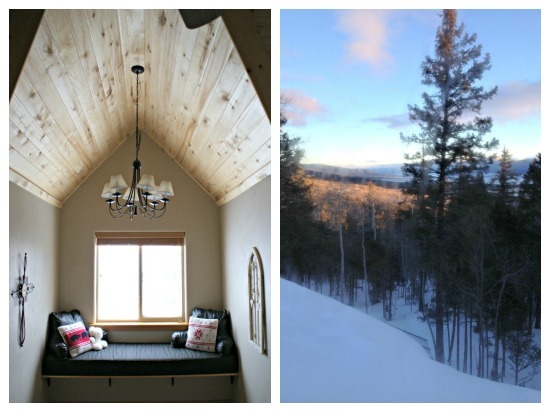 That is a place I could easily live in year round. I'm very familiar with "all things Southern Baptist". :) That's wonderful about your church, just the fact that everyone gives so faithfully...all to His glory! So THAT'S where you were off to. ;) I went skiing in middle school...and never since. :( Looks like you all had so much fun! What great memories. Oh...I'll be checking out Word Slingers, too. How neat!